This is the ION motherboard! Despite of being quiet, we have not been resting all summer. 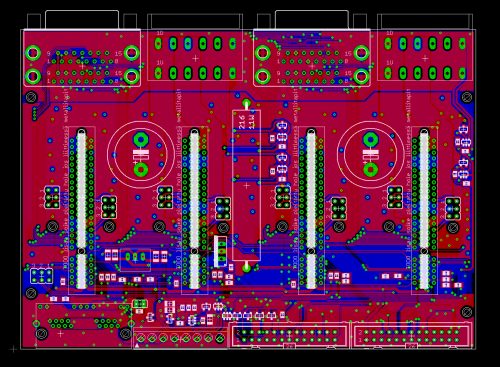 The four axis motherboard for ION drive is only pending “proofreading” and last minute ideas before prototyping. The solution here is to use PCI-express 8X connectors where extra pins may be used later for higher power drive. The first ION model has PCI-e 4X connector and plugs in 8X socket too. 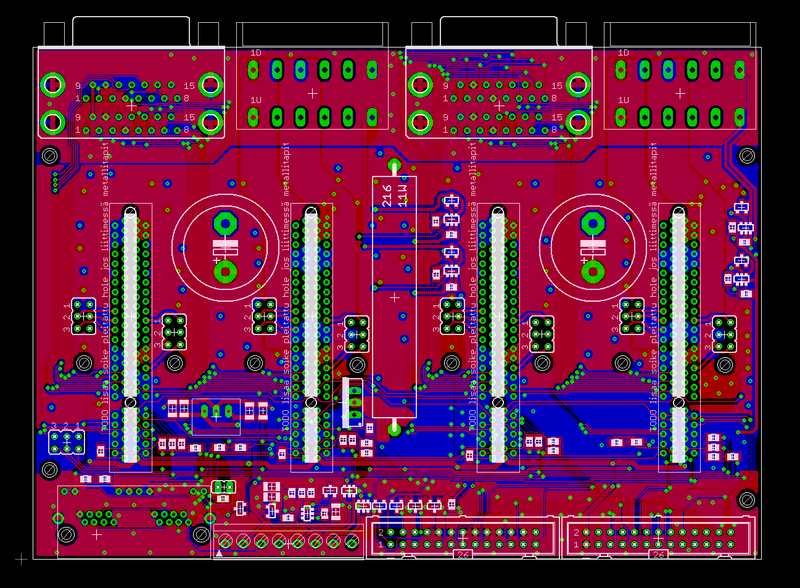 The first 26 pin ribbon cable connector is laid out so that it’s directly connectible to traditional CNC controllers (parallel port, SmoothStepper etc).